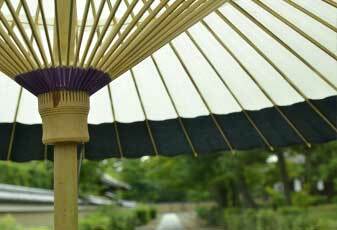 The Jyanome (Slender umbrella) production process does not differ much to the Bangasa (sturdy umbrella), but the stretchers are thinned to produce a slender and light Wagasa. 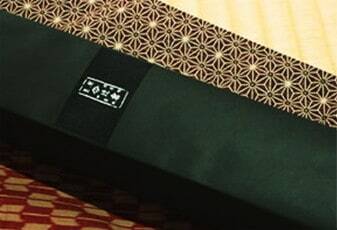 The inner sideof the Wagasa has decorative coloured strings, making them a Wagasa attractive for their refined beauty. There is an abundance of colors and patterns making Jyanome popular with both men and women.